Retail warehousing and distribution is where we started. 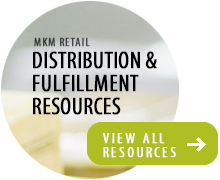 MKM began in 1981 as a dedicated warehousing and distribution provider to the retail sector. Why? Because our roots are in retail. As such, we provide cost effective solutions focused on the unique needs of retail businesses, such as seasonal space requirements, product overflow, temporary transition for existing distribution centers, contingency site planning, and supply chains looking for additional distribution points. With our own fleet of trucks and trailers, we can meet your transportation needs, including store delivery operations, backhauls, truckload and spotting services. What do our clients say? “My phone doesn’t ring.” That means the phone doesn’t ring due to missed shipments, late arrivals, missing items, etc. The product you want delivered is delivered as promised. Reduce costs/maintain quality – Our facilities are close to your final delivery points. This reduces both delivery cost and store labor costs. It also improves guaranteed delivery days and time’s to receive and stock merchandise. Increase your sales – We help keep product on your shelves by reducing rejected shipments. With a complete solution for meeting shipping and product compliance guidelines of large wholesaler’s and department stores, we keep you selling. Reduce transit and processing costs – With our container processing and managed inventory programs, you can reduce the cost of receiving products from suppliers and redistributing back across the country.